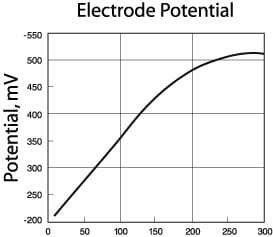 Cyanide activity can now be monitored with a silver/silver chloride Redox sensor, which features a large surface area silver billet and a solid-state reference. Reliable monitoring of free cyanide in gold pulp allows the mill operators to closely follow cyanide concentration trends for improved process control. Better control of reagents invariably produces chemical savings and improved recovery rates. 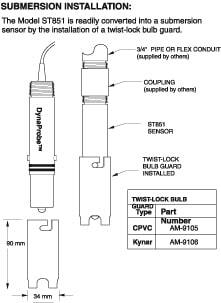 The sensor produces a reduction potential of -200 to -500 mV over a 10ppm to 300ppm concentration range. It’s solid-state, quadruple reference (Patent 5147524 by Broadley-James Corp.) provides stability and durability in measuring CN- concentration in mining slurries. 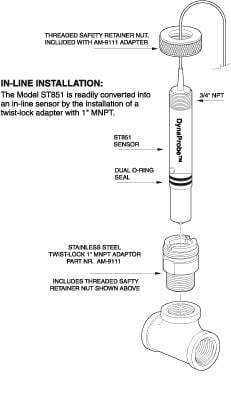 A 3/4″ MNPT process connection on the cable side of the sensor allows easy submersible installation of this compact, rugged sensor.